The increasing cost of electricity and the negative impact of greenhouse gas emissions have made many businesses to adopt energy-efficient and environmentally-friendly lighting solutions – and LED lighting is the most popular choice. It is no secret that LED lighting have revolutionized lighting thanks to their low energy consumption, reduced maintenance, high light output, and a myriad of other excellent benefits. These lights have helped businesses, organizations, and institutions to save a lot of money on electricity and have better light in their applications. If you have a large indoor space that needs to be illuminated (a manufacturing facility, warehouse, factory, large department store, or a gymnasium) ufo led high bay led lights are recommended. These powerful lights provide the right amount of light for large spaces with high ceilings. The light fixtures are attached to ceilings via chains, hooks, pendants, or directly fixed to a ceiling. Since LEDs come in various designs, it can be hard to choose the best lights for your highbay fixtures. We've written this post to make it easy for you to choose the best ufo led high-bay lights. Why Are UFO Led High Bay Light Perfect for HighBay Fixtures? When LEDs were first introduced into the market, they were very expensive and not everyone could afford them. But things have since changed and LEDs are just as affordable as other lights. 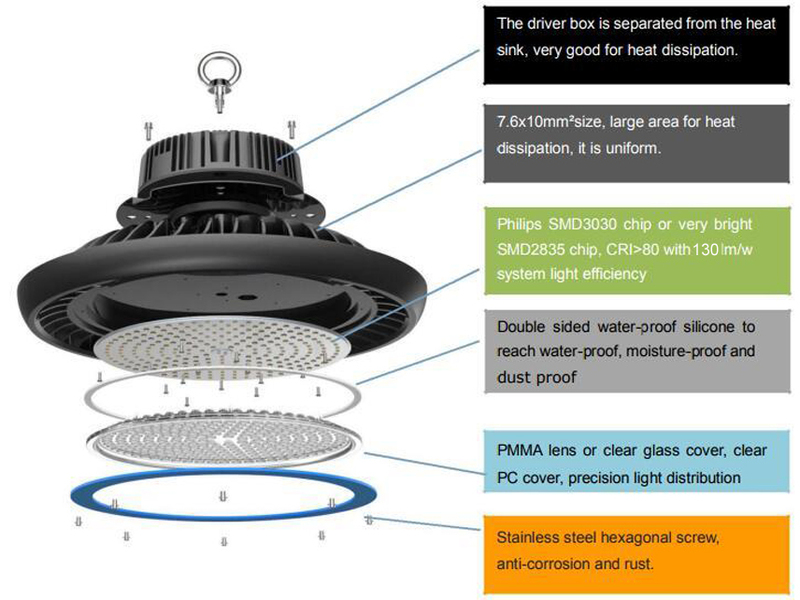 In addition, when you buy ufo led high bay light, you may get rebates which may lower their initial cost. It is the wish of every business owner to make their premises look outstanding. Since LEDs emit beautiful, white light that shows the true colors of objects, they can improve the aesthetics of a commercial space. A space that is well-lit will also appeal to customers and make them feel safe. LEDs need very little electricity to provide sufficient brightness. They can significantly decrease your electric bill as they use only a few watts to produce a lot of light (lumens). The same cannot be said for HID and fluorescent lighting systems which consume a lot of watts. When you pair LEDs with lighting controls, you can further lower energy costs. The average lifespan of a UFO LED High Bay Light is 80,000 hours, which is more than 10 years. Fluorescent and HID lights do not have long lifespans and need to be replaced every now and then. Since highbay light fixtures are usually mounted at very high points, you’ll spend a tidy sum every time you replace bulbs. 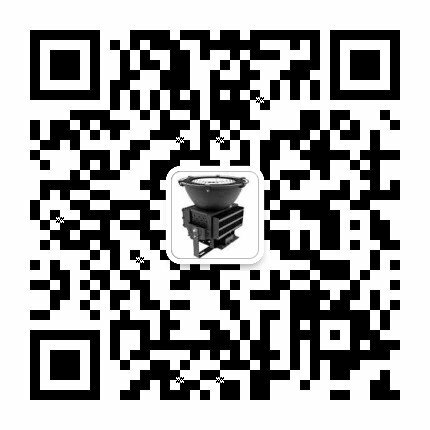 UFO Led high bay Light do away with costly maintenance with their durability. UFO LED High Bay lights are more safe than High Intensity Discharge lamps and fluorescent lights. Fluorescents contain mercury and have to be disposed of safely while HID lights emit a lot of heat and can't be used in commercial spaces with food or textiles. The first thing you should do when buying UFO LED high bay light is design a layout. This is because different spaces need different types of highbay lights. For instance, a storage room may only need a light with 300 lux. However, in a warehouse, you need 500 lux so that the environment can be conducive for work. Retail stores need very bright light so that consumers can clearly see the products they're buying (800 lux or more). Before you do anything else, determine the lighting requirements of each room. While you should look at the watts when buying UFO LED high bay lights, lumens are more important. Lumens measure the total amount of visible light produced by a light source. As LED technology continues to advance, new LEDs are manufactured that use less watts to produce more lumens. Watts don't tell you how bright a bulb is, lumens do. Watts only indicate the electricity a light source consumes. A good rule of thumb is 2 lumens for a cubic foot (for normal light) and 3 lumens for a cubic foot (for bright light). 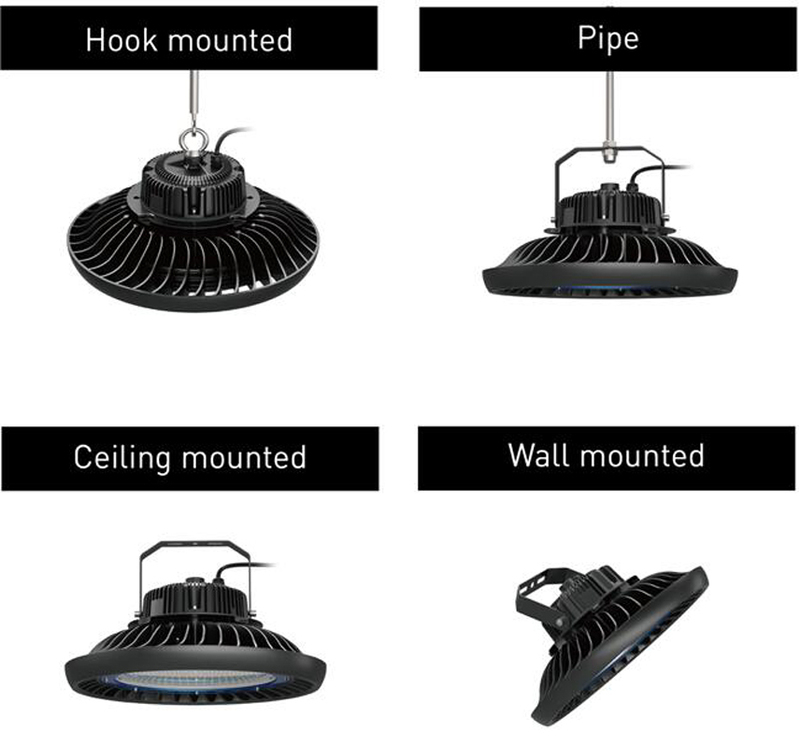 When choosing UFO LED High Bay lights for highbay fixtures, consider where they will be installed as different watts are recommended for different heights. 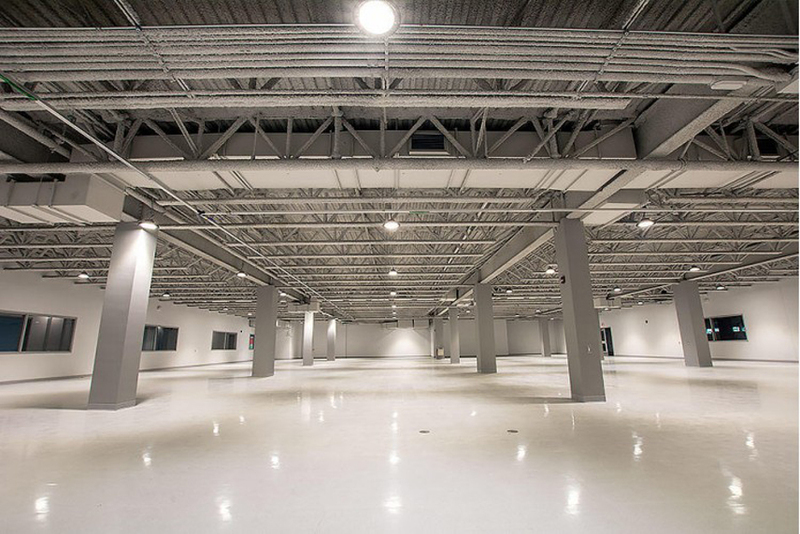 If you're installing ufo led high bay lights in a new building or redesigning the lighting infrastructure, you need to ensure that the spacing is right. Use these guidelines to determine the best spacing for your fixtures. When you figure out the spacing the fixtures need between them in order to produce adequate light, you can determine how many LED lights you need. A lighting designer can help you to determine the best spacing for the lights and the foot candles the space needs to be well-lit. Led High bay lights come in a variety of designs. There are long, large lights known as linear highbay lights and round ones known as UFO high bay lights. You may also be able to retrofit existing fixtures with LED light bulbs. Linear high bay lights are perfect for large spaces with high ceilings (like big-box stores). UFO high bay lights are also perfect for high ceilings but they need to be hung a little high up (15 feet and above) in order to spread the light effectively. Wide angled linear highbay lights are perfect for lower ceilings. Take all these factors into consideration when buying UFO LED high bay lights and you won't experience buyer's remorse later on. If you need professional advice, we're only a phone call away. For more details, contact us at email: info@floodledlight.com.